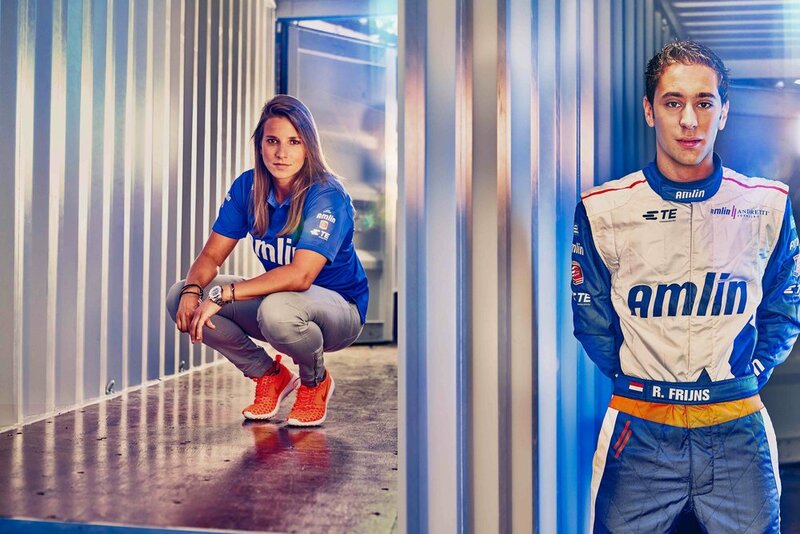 Above, former Former Formula 1 race driver Micahel Andretti and team Amlin Andretti's Robin and Simona and Aguri's Katherine, Takuma and Antonio. A call from Brand Director Cameron Webb became the catalyst for one of our most interesting location based projects. We had a total of two weeks to turnaround pre-production and shoot days, with six locations and the added complexity of moving a Formula E car across the country whilst retaining total anonymity. 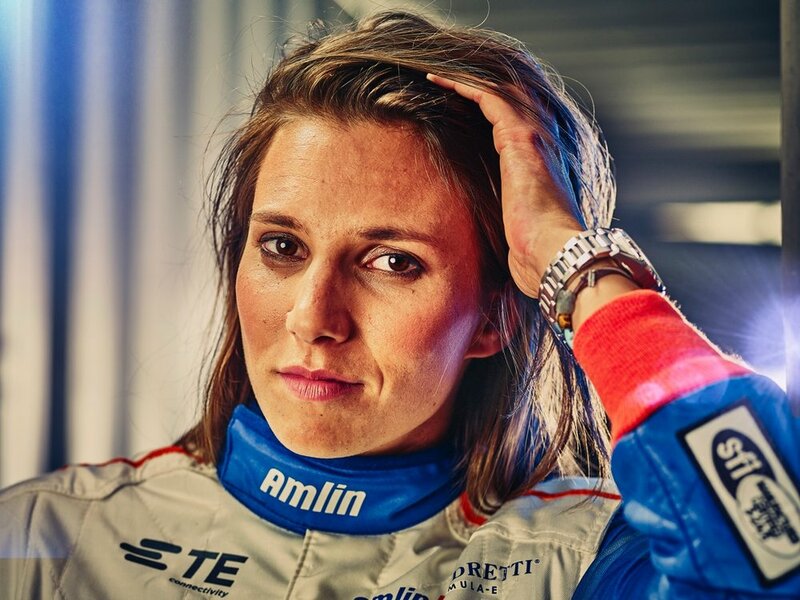 Amlin's Formula E journey started with Aguri, later teaming up with Andretti Motorsport for their second season. This had not been disclosed to the media at the time of shooting the campaign. Both seasons required a social network ‘Hunger Games’ style buzz. Much like Formula 1 who have DRS, Formula E has FANBOOST. This operates by providing drivers with an additional power boost of 30kw. In order to receive this, the driver must win an online vote that allows fans to choose who they wish to reward the additional power surge to. Formula E is the cutting edge and leading strain of motorsport technology, which like it or not, will eventually surpass Formula 1. This will happen. The buzz and fan base surrounding Formula E is continually gaining momentum. "We are extremely proud to be at the forefront of this growing technological development. 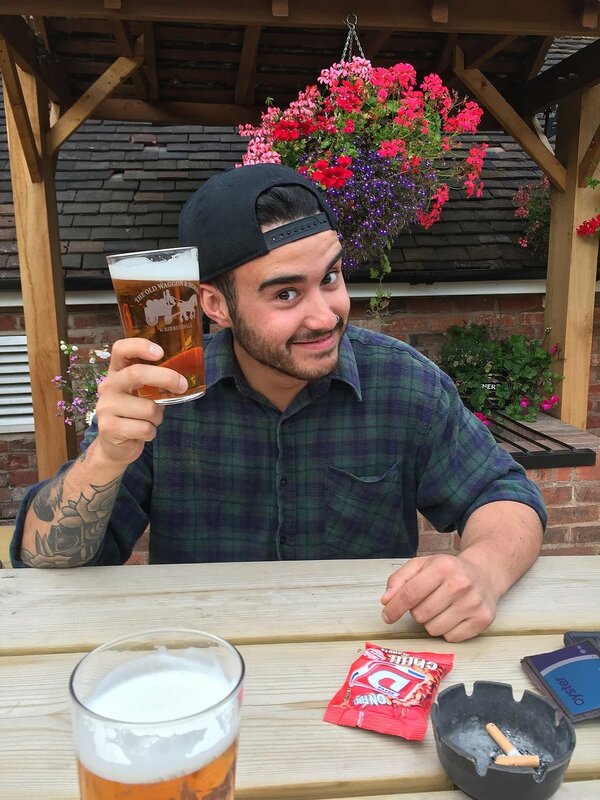 Thank you Cameron Webb for allowing us to apply our creative mindset to this campaign and to be part of a major move for motorsport." Covering the car in black felt for secrecy is like putting a red nose on a clown. Making it almost impossible for any form of secrecy, cue passers by believing we had the ‘Bat Mobile’ hidden away in our transporter. When your shoot locations are in Brick Lane and a busy shopping centre in Peterborough, you can imagine how difficult it was keeping pedestrian curiosity at bay! Formula E takes place on the streets of cities, not race circuits, which lead to a campaign that immersed the vehicle in everyday situations. Due to the races taking place on an international stage, we needed to portray an ambiguous representation of locations in the Amlin Andretti photography campaign. Budget restraints challenging us further. Both photography and video is used across all media, events and even shown in the team's pit. This project ended up being the job for test driving our modified innovative grip equipment, in this instance our custom built, carbon fibre, box section, thirty-six ft max jib (seven minutes for jib erection). The jib, once attached to the ‘DJI Ronin’ 3 axis stabilisation system, allowed us to produce some amazing sweeping, gliding shots of the Formula E car, showing off the vehicle's elegance and refined craftsmanship. Throw in some good lens whacking for pre-season interviews. Job done. ice creams, pushing go-karts around and staking out car parking spaces till 4am"
Take a look at our "Bat Mobile"